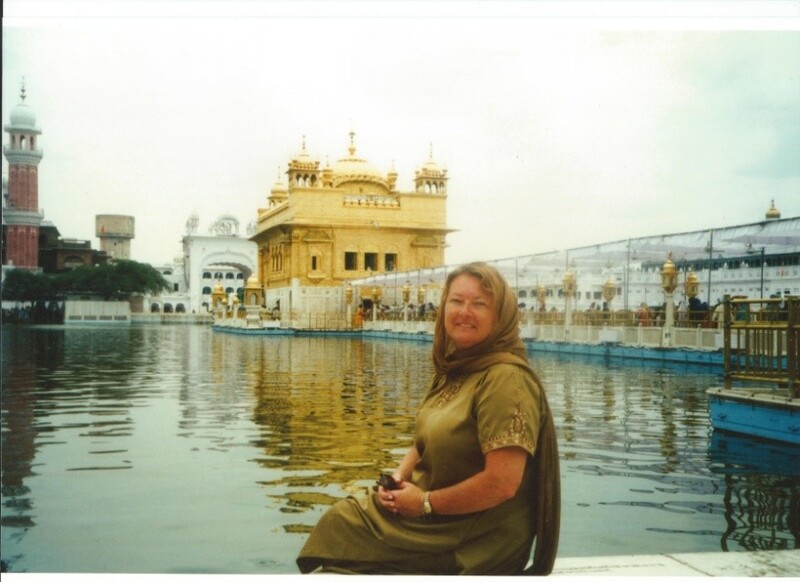 This week we have the exceptional pleasure of hosting the head of the UK Chapter of the Travelers' Century Club, Donna Marsh, who has a lot to note both about her role and about travels in general. 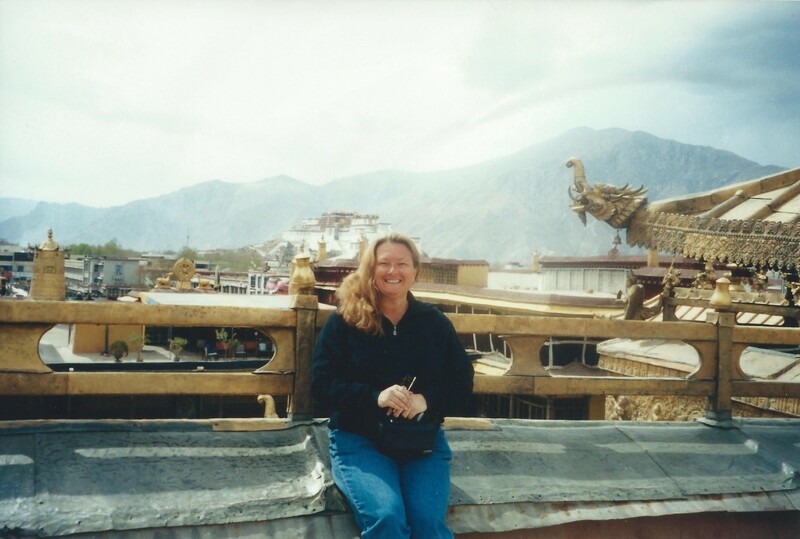 Donna you are one of the highest ranked women travellers on TBT. How do you do it? What is your preferred style of travel? Thank you for inviting me to your interview. I have been travelling since childhood and have also made it a priority in my career to work in roles where travel was a part of my responsibility. In my corporate career, I have worked in throughout North America, Europe, the Middle East, the Indian Subcontinent, most of the rest of Asia, Australia, and a fair bit of Africa. 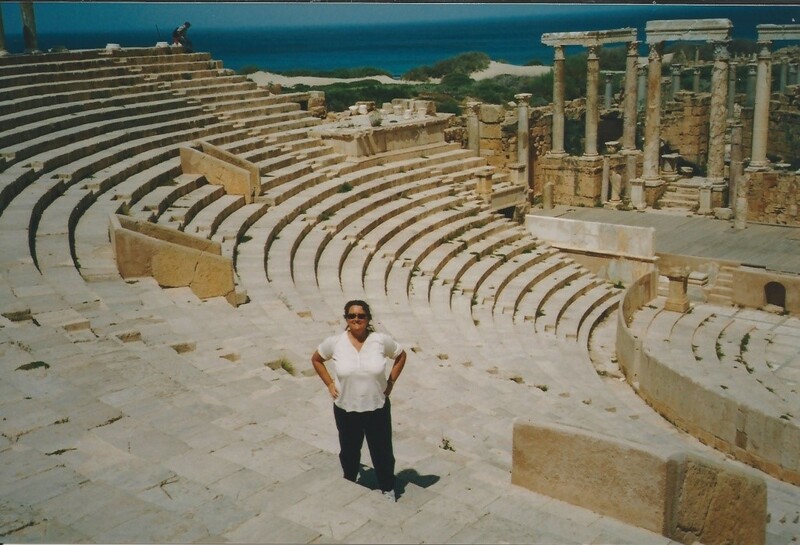 I have been fortunate enough, especially in pre-email and pre-mobile phone days, to find time to travel more extensively in the countries I have worked in outside of work as well. I have also made numerous side trips to nearby countries where the chances of me working there were low. For example, as an enthusiastic scuba diver, the Maldives were a favourite weekend break from India. 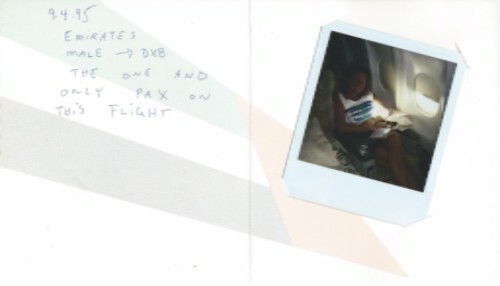 I was also lucky enough to enjoy stopovers for several days in Fiji, Tahiti and a couple of other Pacific Islands during a time when flight routes between Australia and North America were infrequent. I have experienced a very wide range of travel styles, including security vehicles complete with armed body guards, private jets and Concorde. On the other hand, I have shared public transport with local people’s livestock. I have been on too many boats and ships to remember, from dodgy ferries and leaking barges to floating palaces. Although I am fortunate to travel to my work destinations courtesy of my employer, my mode of personal travel depends on distance, flight times and sometimes simple availability. People who have only been travelling in recent years may not realise that it was not long ago when, for some destinations, if you missed your flight, the next one might not leave for another three days and then probably at an unsociable hour like 4am. Although I generally fly, I do try to travel overland whenever possible as the experience is obviously so much more interesting from ground level. For example, I recently travelled overland from Santo Domingo to Port au Prince pre-hurricane Matthew. Not only did I learn a lot more about the geopolitics of Hispaniola, including the logistical challenges post-earthquake, but it also gave me a terrific chance to practice my Spanish (barely intelligible but somehow got the point across) and, then after crossing the border into Haiti, to torture my driver with my French (better fluency but appalling accent). I have travelled extensively overland throughout the Middle East, including many places that would be impossible to do now. 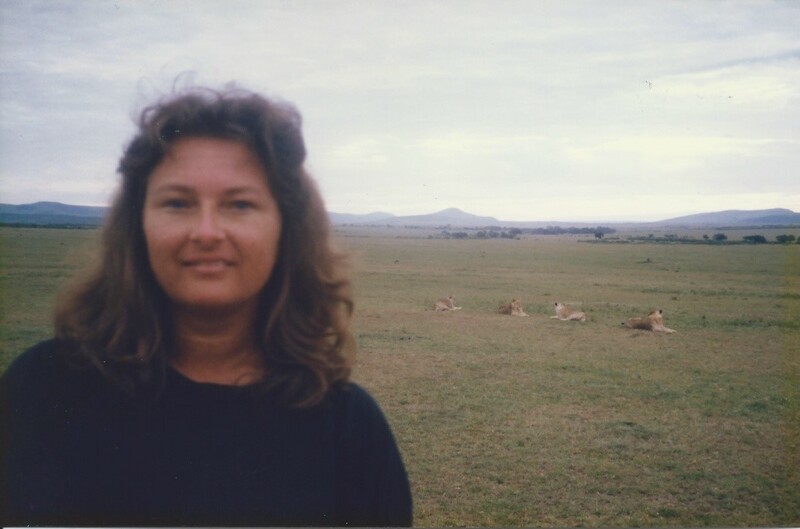 Additionally, I have made some long road journeys in both West Africa and southern Africa. I have also driven across the United States. I generally travel alone, mostly because of work, but sometimes I travel with friends. However, I find it much easier to meet people when I am travelling alone as it doesn’t take long to find someone to enjoy a meal with if that’s what I want to do. Tell us of a few notable travel experiences that have really made an impression on you. There have been so many, but a few have stayed with me. 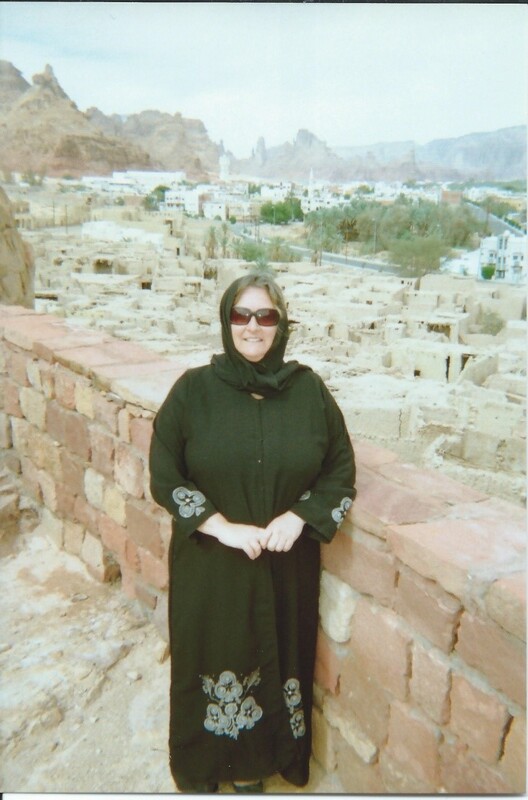 I have been lucky enough to spend time in Oman going back for more than 20 years.It’s where the beauty of mountains, desert and sea come together, the people are genuinely friendly and welcoming, and the variety and authenticity of food is superb. Sometimes, it’s an unexpected experience that becomes memorable.For example, I needed to return to London at the end of a business trip by a very specific deadline.I was in Malé and unfortunately my original connection to return home via India was cancelled, which I discovered only after arriving at the airport. Walking between the only two counters that were staffed at the time, I was told that no other scheduled options were available.However, a very sympathetic booking agent physically walked over to someone who looked like a pilot who had suddenly appeared, and had a word.With one of the most welcoming smiles I had ever received, I was informed that I was about to get on a flight after all.It was a hajj flight returning pilgrims from Mecca and I was about to become their surprise and only passenger on what was meant to be their deadhead flight back to the Middle East. I had a wide body aircraft and full crew all to myself.The pilot even carried my wet and dirty scuba bag on board personally.I also learnt that it is possible to enjoy ‘certain beverages’ even in unlikely situations such as this one.I was also totally inappropriately dressed in clothes more suitable for the beach, and hopefully transited to London without offending too many people. I am also constantly reminded of the fragile nature of the world.I recently returned from Myanmar in mid-August 2016, where my travels included wandering around the temples and pagodas of Bagan.Only days later, a major earthquake hit the region, severely damaging dozens of the centuries-old structures I had just explored.I have a photographic ‘Wall of Nevermore’ in my home, where additions are made when a place has been damaged or destroyed due to nature or manmade reasons.Sadly, it’s been growing more rapidly in recent years, especially in the Middle East and North Africa.However, this was the first time an event happened so quickly upon my return that as soon as I printed my photos, I immediately added one from Bagan to my ‘Wall’. I have had a few ‘Forrest Gump’ moments as well, occasionally being in the right place at the right time to meet someone famous.These moments seem to happen in India. I have met the Dalai Lama in my hotel in Bangalore waiting for my car and driver as he and his entourage were also leaving the property.He went out of his way to greet me.The staff dropped to the floor and literally touched his feet. I was hastily ushered into the Air India first class lounge in Delhi, where the chaos outside the lounge was at a level I had never seen before as a regular business traveller to India.Once inside, I sat next to who is probably the world’s most famous actor, Amitabh Bachchan. I was in a business meeting at a very exclusive restaurant in what was then known as Bombay. My back was to the room (never recommended) and my two male colleagues were opposite, giving them a perfect view of the other guests in the restaurant. After a while, I realised I had completely lost their attention as they were more interested in staring at Sally Field and Goldie Hawn, who were dining at the table directly behind me. Which countries surprised you (positively or negatively) compared to what you had imagined before visiting them? Nearly any place I have been in the Himalayas.Tibet and Nepal in the 1990s, both before political changes have made them very different places to what they once were. Bhutan, which feels timeless, more recently. Not a specific country, but almost any Mediterranean island in June when the weather is perfect and the crowds have not yet arrived. Again, not a specific country, but anywhere in Africa where it’s possible to see big cats act like big cats in their own domain. I found Serbia challenging, although working there during the height of the Balkans conflict may have had something to do with it. Given recent history, I think it’s important to acknowledge that I found the people, cuisine and historical importance of Syria to be lovely. How distressing it is to realise what is happening to them now.However, it was also significantly more difficult to function in Syria than elsewhere in the Middle East, obviously when it was still possible to do so.I encountered an almost paranoid feeling starting decades ago, from needing to get permission to send a fax back in the day to being one of the last countries allowing the general public access to mobile phones. From a purely travel perspective, I found the bits of Haiti I visited to be depressing, almost hopeless. Although excruciating poverty no doubt plays its part, I suspect the reasons are much deeper than the challenges for the Americas’ poorest country to recover from the devastation of the 2010 earthquake. I can’t imagine what it must be like now after Hurricane Matthew. Have you travelled extensively in the UK as well? Any hidden gems that most people wouldn't know about? Over the years, I have also travelled extensively in the UK for both work and personal reasons. I’m often drawn to islands as they can often reveal interesting history as well as natural beauty. In this regard, the Orkney Islands off the north coast of Scotland are recommended, especially if the weather cooperates. On the other hand, although London is undoubtedly one of the world’s most diverse global cities, it remains a collection of villages. It also remains remarkably safe, even on foot late at night. Visitors looking for a difference might wish to explore parts of London outside of Zone 1. One great way to do this is to research a local restaurant that may serve an unfamiliar cuisine. Book a table. Take the tube to the neighbourhood early. Take a walk in the local park, pop into a local pub, find an eclectic independent shop, or do anything else that gives you a bit of local flavour. Then enjoy your meal. You head the UK chapter of the Travelers' Century Club. Tell us a little about the activities of TCC in the UK and what your position there involves. I activated the UK chapter of the TCC on 24th September 2006.Our first meeting was held at the Royal Automobile Club in central London with 16 members in attendance.Members based in the Republic of Ireland have become a welcome addition to our group and were present at the first meeting, so we typically refer to the group as the TCC UK and Ireland.We have members from continental Europe join us regularly as well, with the Czech Republic particularly well represented.Others have joined us from the USA. Our group meets 2-3 times a year.Sometimes we have an outside speaker; other meetings are focused on members’ contributions.I am pleased to report that most of our members represent a wide range of ages and backgrounds who usually travel independently.They are enthusiastic in learning more about the people and cultures during their travels rather than simply ‘ticking boxes’. Are you planning on completing the TCC list? Do you have a timeline in mind? Although I have no specific goal to complete the TCC list, I do expect to become a gold member within the next 1-2 years (200 TCC countries), and I remain enthusiastic travelling to new destinations.I am currently focusing on geographies that are interesting to me that are either physically or logistically more challenging. A good example of physical challenges for me includes destinations at altitude such as my relatively recent trip to Peru and Bolivia. As someone who has been working and travelling in the Middle East for a very long time, I am acutely aware that access to destinations can change rapidly. This means that some of my travels include prioritising destinations that are already politically difficult to travel to and/or may become more difficult soon.For example, I visited Equatorial Guinea and Ukraine earlier this year.I have my eye on visiting the 5 Stans soon as it is highly possible that the political landscape in some of these countries could change before too long. How do people across the world react when you tell them you are from the UK? Any memorable reactions? Your wording is interesting as I generally do need to clarify my identity. I sound mostly American. So is my body language. My values are also well aligned with being British – the values of multiculturalism, fair play, tolerance and inclusion – that I believe are still this country’s values in spite of recent political events. A keen observer of my behaviour will notice a lot of influence from the Middle East and a few other non-Western cultures as well. In general, reactions to living in the UK are often football related. Not too long ago, I was being subtly detained by an official at a border crossing between Togo and Ghana that is not generally used by Westerners. I had arrived in a private vehicle with people from Cote d’Ivoire, Ghana and Burkina Faso. I suspected an unpleasant request was imminent that, once fulfilled, would allow me to cross the border with my travel companions until I discovered the official was a keen supporter of Manchester United. Although I am not known for my enthusiasm for any sport, being able to hold a basic conversation about football allowed me to obtain my passport stamp and be on my way without any further fuss. My travel companions were both amused and relieved. In recent months, travelling in Europe inevitably raises the Brexit discussion. I happened to be flying to Sicily early in the morning the day after the EU Referendum vote. I left so early that the result had not yet been officially declared. However, it had been declared by the time I landed at the Catania airport. Patiently queuing in the EU nationals’ queue, the official, complete with wagging finger, asked me if I was in the correct queue as I presented my British passport. Since then, it has been a recurring topic of conversation from Malaysia to the US to the Middle East, not to mention my own multinational, multicultural neighbourhood. On a happier note, mentioning that I live very near to London almost always gets a nod of approval pretty much anywhere in the world. Do you consider it an advantage of disadvantage to be a woman in 'difficult' countries? How do your experiences reflect this? Because so much of my global travel is solo and work related, I suppose my ‘difficulty’ scale is more of a judgement about gender challenges in a work environment than simply getting around as a tourist. Although not negative, I found South Korea difficult to connect to when working there, although I have a completely different and positive impression of working in Japan in spite of many similar challenges.I don’t know why. On the other hand, although most people would think Saudi Arabia would have made my ‘difficult’ list, I actually like it there a lot in spite of the very different ways I need to work, dress and behave. And I do it as a business woman travelling alone. I am treated as an ‘honorary man’ as well as a woman, and always with a lot of respect, especially in the last several years. Similarly, working Pakistan is not problematic, but surprisingly, I have always found it more difficult to be out and about on my own in Karachi than I do in Riyadh. Although the 5 Stans are in my future plans, my immediate plans are to visit Panama, Costa Rica and Nicaragua during the long, dark, grey British winter. I have chosen people from modern history because it’s possible to have a feel for their personality as well as their achievements. I would not like to be disappointed meeting someone I admire who turned out to be unlikable. At least with the following list, both their public persona and their achievements make them theoretically interesting to share dinner with. Gloria Steinem: A relatable role model for many people of my generation who taught us that feminism means that girls and women can do whatever they want, just like boys and men. Nelson Mandela: For reasons undoubtedly shared by millions of others. A person not without flaws who taught the world about tolerance and forgiveness when it could have been so easy for him to be very different. Sir David Attenborough: For his ability to educate the world about the changes happening at a startling pace to our wildlife and climate, and to do so as a credible, personal witness. Peter Kay: For the comic relief when the conversation needs lightening up. If he isn’t available, then either Robin Williams or George Carlin would be fantastic alternatives. Maybe they take turns for each course of the meal. The photos in this article are from Donna's personal collection. They show her in Amritsar, Kenya, Tibet, Libya and Saudi Arabia, as well as showing a postcard of her unique experience being the only passengers on an Emirates' flight.